Getting a divorce is a difficult time, and there are many things that you have to sort out. Taxes are something that needs to be decided upon during this time. Our Forensic accounting services in Denver Co can become your best adviser and help you reach the best possible outcome. If you decide to use a Forensic Accountantfor your divorce, business or investments,it is important that you understand what this means if you are divorced. What functions does a Forensic Accountant take on? There are many law firms in Denver, Colorado that can help you for divorce processing; while a Forensic Accountant is unique — who collects, identifies, analyzes and interprets all financial information during your legal processing. The information gathered and analyzed can be used during legal proceedings to help come to a conclusion. This can help with a number of disputes that may arise during a divorce. A Forensic Accountant can also help sort out business claims. 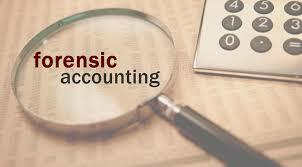 What Type of Services can a Forensic Accountant in Denver, CO provide? Shuster & Company, PC is capable in providing a number of professional services. When seeking the help of divorce accountant in Denver CO, you can rest knowing that manythings that needs to be discovered and addressed will be attended to. Sort out financial challenges and issues by providing skillful insight and clarity to reach a final result with the clients well being in mind. Their testimony during a legal proceeding could be vital. This type of divorce accounting in Denver CO helps individuals sort out spousal and child support, determine property and business value and divide marital assets. A Forensic Accountant in Denver CO provides certified valuation for the subject business interests whether involved in divorce, partner disputes or for the purposes of buying and selling business, estate tax or gift tax, and so on. A Forensic Accountant in Denver, CO can help determine the value of a claim. They work side by side with claim adjusters to thoroughly assess financial reports, and help come to a conclusion. Examples of working with the claim adjusters include business Interruption, inventory loss, extra expense, lost earnings / profits, subrogation, product liability and general liability. A Forensic Accountant in Denver, CO will determine the best way to manage risk, examine misconduct, and assess the monetary consequences of a dispute. A large portion of forensic accounting is analyzing documentation to determine compliance and non-compliance. Forensic Accountants in Denver, CO provide services for tenants and include rent reviews, CAM reviews and escalation reviews. The Certified Forensic Financial Experts in Denver, CO can help ensure that you have the best possible outcome for your interest.